Stream Hauschka's Forthcoming Album, 'What If' The pianist creates a singular electronic language rooted in the past but reaching to the future. The great Beethoven specialist András Schiff says, "Whatever we do on the piano is a collection of illusions." If that's true, then Volker Bertelmann, the German pianist who goes by the single name Hauschka, is a master illusionist. Over a span of eight albums and a dozen years, Hauschka's particular magic is the prepared piano. Like John Cage, who developed the idea in the 1940s, Hauschka inserts all manner of doodads — scraps of aluminum, ping-pong balls and other household items — into the bowels of the instrument, transforming a normal piano into a quirky battery of percussion. On his new album, What If (due out March 31), Hauschka adds additional keyboards to his arsenal — a Disklavier, Yamaha's high-tech player piano and a 1970s-vintage Roland Jupiter 4 analog synthesizer. The result is perhaps his most claustrophobic album and his most far-reaching. On What If, Hauschka looks ahead to a dystopian future, as if the album title functions as a question completed by his song titles: "My Kids Live on Mars," "Nature Fights Back" and "Trees Only Exist in Books." The dense weave of the music, with all its multicolored strands and rhythmic obsessions, represents a new path for the Düsseldorf-based musician, one that's more personal, yet opulent and immersive. The album opens with "I Can't Find Water," where pairs of lonely, block piano chords lay a foundation upon which Hauschka opens his toolbox of ticks, buzzes and boinks. The final track, "We Live a Thousand Years," is more hopeful, offering an upbeat taste of funk and processed player piano notes that splinter into oblivion. In between there's much to marvel at. "I Need Exile," dressed in muted browns and beiges, mesmerizes with its tight polyrhythms (think My Life in the Bush of Ghosts) and contrasting washes of airy electronics, while "Nature Fights Back" offers a jaunty, danceable beat with a top-line piano melody that winks at the junkyard sounds strewn about. "My Kids Live on Mars," with its Morse code of piano beeps, plows through a tapestry of metallic oscillations, scratchy static, soft plumes of bass and pearly piano notes that rise to a restrained climax, only to ultimately crash land. "Familiar Things Disappear" sounds like you've tuned into the frequencies of a passing comet. A pulsing scape quietly enters, introducing Hauschka's prepared piano, while a soft synth bed blossoms. A beat drops and the track lumbers gracefully along, its rhythm accentuated by the stacking of sound layers. Vintage bloops and boings penetrate and volume builds as the orb nears. Slowly it all falls away and the sky returns to black. 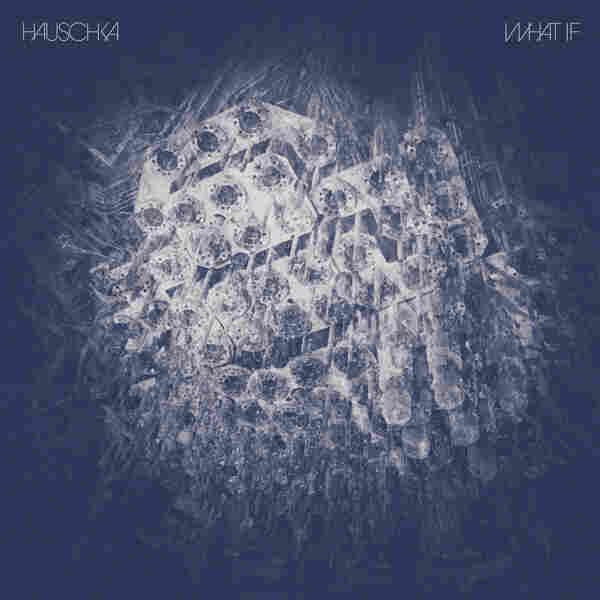 Clearly, What If proves that Hauschka is unafraid to rethink his sound world. With his combination of new and old technologies, he's created a singular electronic language rooted in the past but reaching to the future.